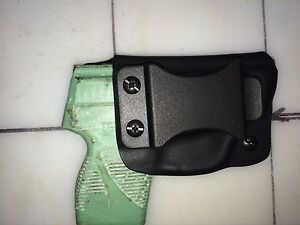 Inexpensive and quality-made holster. Fits perfectly . Keep up the good work! Great value, great holster, arrived quickly!! Awesome! Holster is a perfect fit and very comfortable - Super customer service! Very good retention, very slim profile, value for the money. A very good buy. Fits my 380 tcp perfect. Love it!